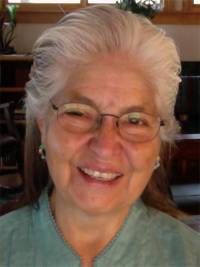 Dr. Carolyna Smiley-Marquez is a Licensed Professional Counselor (LPC), certified by the National Board for Professional Counselors and is affiliated with the Boulder Interdisciplinary Committee. She holds child and family investigation, mediation, facilitation, cross-cultural and international mediation certifications from holds certifications from Colorado School for Family Therapy NBCC (National Board for Certified Counselors), ACA (American Counseling Association), APA (American Psychological Association), The American Arbitration Association, and the Native Dispute Resolution Network. Carolyna has a multi-disciplinary master's and doctorate degree in the humanities, social sciences and education, passed the National Counselor Examination and has been licensed by the State of Colorado as a Professional Counselor since 2004. She has participated in specialized training as a Child and Family Investigator with the Colorado School of Family Therapy and have provided 22 investigations on the Front Range of Colorado. Additionally, she has worked as a legal investigator for over twenty years in a variety of fields and with diverse populations. Sheher maintains my interdisciplinary skills by attending professional training programs, courses and conferences on a regular basis and through an active reading schedule of the literature related to the work. She has beenn elementary school teacher, counselor, university faculty member, hospital administrator and consultant during her career. She has five grown children and five grandchildren and understands the importance and significance of the work that she does. As a result of her work as a CFI, she has the opportunity to visit with parents, children, grandparents and extended families that are involved in separation and divorce. It is never easy for any of the parties. Her job is to provide a Judge or Magistrate with a thorough and fair assessment of the situation, the needs and interests of the children and the concerns of the families.